Vera Blagev is a nature inspired abstract artist currently based in Dorking, Surrey, England. Having travelled to over 50 countries and lived in Bulgaria, USA and London, Vera is inspired by the natural world. 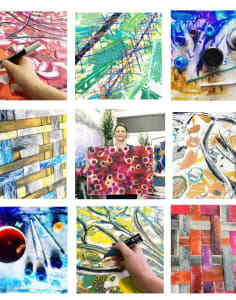 Her artwork celebrates nature through exploring the textures, patterns and colours of the natural world.